Samui is better to choose for long-term stay: compared to Pattaya or Phuket, Samui is cozy, calm, relatively clean and safe from tsunami. But anyway, here you can find both noisy parties, night shops, bars and really quiet places and houses along the beach for people who prefer quiet life (like I do). On Samui, you can find everything for life: three large supermarkets, a lot of markets and shops. It’s a piece of civilization, though the island is rather a big tropical village. Samui airport is one the most beautiful and unusual in the world, but flights from the island are quite expensive. That’s why if you need to fly often, you’d better choose Phuket, Hua Hin, Crabi, Bangkok, Pattaya or the north of Thailand. Big supermarkets with food and clothes are located in Chaweng and Lamai beaches (all night parties are also there). Family people usually settle in Maenam and Bang Po. Those who prefer medium between calmness and night parties choose Chong Mon. Full solitude you’ll find in the south and around Lipa Noi beach. Detail information on every Samui beach is below. Lipa Noi is located in the west of the island, a bit northward from Nathon. There you’ll find the most quiet sea, beautiful sunsets, few houses for long-term stay, hotels and expensive villas. There are few restaurants and cafes, and almost no parties and night life. Way to the most part of supermarkets takes half an hour or more if you have a bike or car. In general, it’s a peaceful place suitable for short holidays and for people who don’t like deep sea. *In summer, the sea at Lipa Noi grows shallow and becomes unsuitable for swimming, that’s why people have to swim at other beaches. Nathon is the administrative center of Koh Samui, there located the pier, bus station, many cheap hotels, markets with clothes and night market with Thai food. It’s a good place if you come to Samui without booking a hotel — you can stay in a cheap hotel not far from the pier and explore the island on your own. All you need is to rent a bike or car, or take a tuk-tuk. Samui taxis are very expensive. The most part of Nathon beach is unsuitable for swimming and used mostly for fishing, a big sandbank up to 50-100 meters often occur here at summer. But there’s a small piece of exception (facing to the sea, you’ll see it on the left) with amazing white sand. Every evening fishing-boats arrive to Nathon piers and you can buy fresh and cheap seafood at first hand. Besides, you can buy cheap and tasty Thai food at small Nathon market. 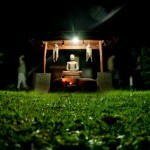 Bang Po is located at north-west of the island, 5-10 minute drive from Nathon. It’s one of the most quiet districts with many houses for long-term stay along the beach. By the way, the sea at Bang Po is shallow but suitable for swimming. It becomes deeper at winter and grows shallow towards summer. Since March to the end of summer, during low-tide periods, you can float on kayak and observe corals, seaweed and small colored fishes swimming in water. But during that period it’s impossible to swim because the sea becomes too shallow. Since April there are beautiful sunsets and sunrises when sun sets and rises right over the sea. Bang Po is my favourite district. There are a lot of Russian and European people without passion to parties, that’s why this place is quiet and calm. But if you decide to hang out, Chaweng is reachable in 30 minutes by bike. There are many cheap cafes with Thai food and restaurants along the seaside. Prices for cheap rooms and bungalows starts from 500 Baht per day. During the flood, Bang Po was one of the safest districts. Water didn’t reach it and there wasn’t power outage. 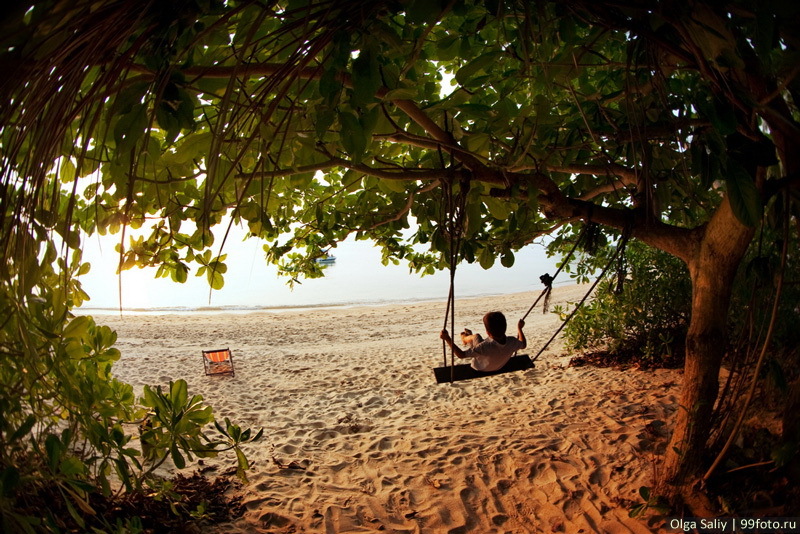 Maenam is located on the northern coast of Koh Samui, length of its beach is about 5 km. Here you can find houses for long-term rent located both at the sea and towards the jungles (on the left from the ring-road). Besides, there are cheap hotels and a good beach. Thursday is the “Walking street” day when one of the streets becomes a big market with cheap clothes and food. Maenam beach may be said to be good: it’s calm, clean from place to place, and the sea here is deeper than in Bang Po. 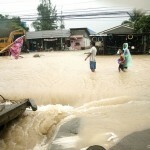 But during the flood, the district had many drowned areas (actually, Maenam was the most flooded area). Bophut is a district located between Maenam and Choeng Mon, in the northernmost part of the island. Bophut beach extends for 2 km, has access to the deep sea and there are relatively few people. Here you can find cheap houses for long-term rent located a bit far from the sea (5-10 minute bike drive). The eastern part of Bophut includes Fisherman Village, a vivid place with cheap hotels, good restaurants and a market. The market isn’t cheap but there you can find really interesting things. Choeng Mon is a small beach, extending for ~1 km. 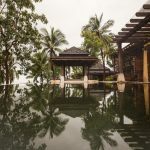 The district itself is quite big and offers houses and villas of different prices: уou can rent a Thai-style house for 7 thousand Baht per month. Prices for houses near the sea starts from 30 thousand Baht per month. But sometimes you can find small and cheap houses right on the beach. Choeng Mon is a good place for those who plan to stay on Samui for a long time, who like night life butat the same time appreciate privacy between noisy parties. To hang out and join parties you’ll need to take a 5-25 minute drive. Chaweng is embodiment of night life on Koh Samui. There are no quiet places for living but a great number of hotels, spa, restaurants, markets and shops. Life in Chaweng never stops and its center is in Green Mango club. The street is occupied by more than 40 bars and 3 major dance clubs. After 3 a.m. night party shifts to Sound Club, which is open all night. There also located the Samui International Hospital that we don’t like (we prefer Bangkok Samui Hospital). Chaweng has a beautiful beach stretching for about 7 km. There are high waves in bad weather and a lot of people during high season. Lamai is a unique, rocky beach. There are beautiful and high waves on stormy days (not comparable with Bali and unsuitable for surfing, but good for windsurfing). There are also many hotels, bungalows and restaurants — it’s the second place for parties and hanging out. In my opinion, Tesco in Lamai offers the tastiest Tom Yum on Samui. And in general, choice of food here is really good! There live a lot of expats, so it’s a perfect place for communicative foreign people: on the first day here you’ll definitely meet a person to arrange you a welcome excursion. But houses are usually located in 5-10 minute drive from the sea. During the flood in 2011, the district was drowned and electricity was off, but in 2016 more better. 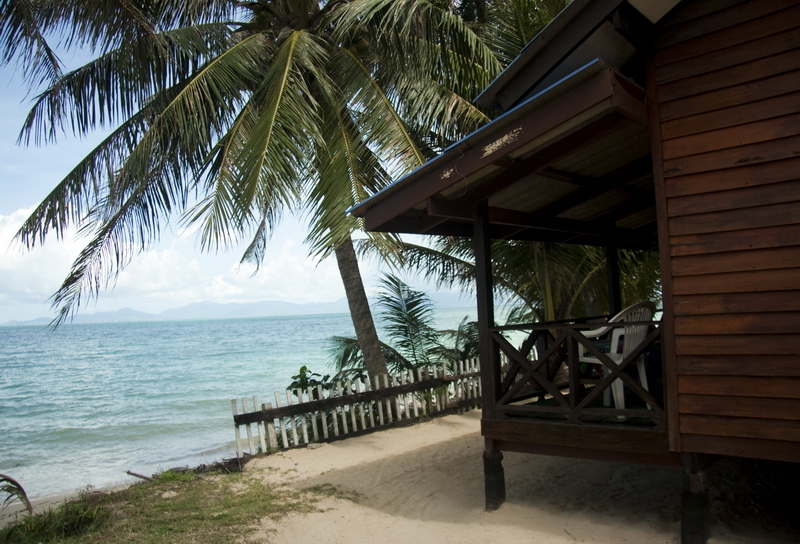 Hua Thanon and the south coast of Koh Samui is a quiet area with many houses for long-term rent. It’s not good for beach holidays because of shallow sea, a lot of fishermen and frequent low tides at summer. But beaches on hotels territory are beautiful and well-kept. Usually this area is chosen by foreign elderly people who live privately in their cheap houses. There’s also a Muslim village and a mosque. The most part of villagers are fishermen, and every evening you can buy here fresh and cheap seafood. 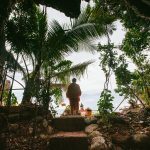 The most beautiful sunsets on Koh Samui you’ll see in Nathon and Lipa Noi, in some areas of Bang Po, Maenam and Chong Mon. For beautiful sunrises go to Chaweng, Lamai and some places of Chong Mon. At some points of Bang Po and Maenam beaches, you can see both sunrises and sunsets. Chance to see them at the same place is higher in June and lower in December, when the points of sunset and sunrise get apart. 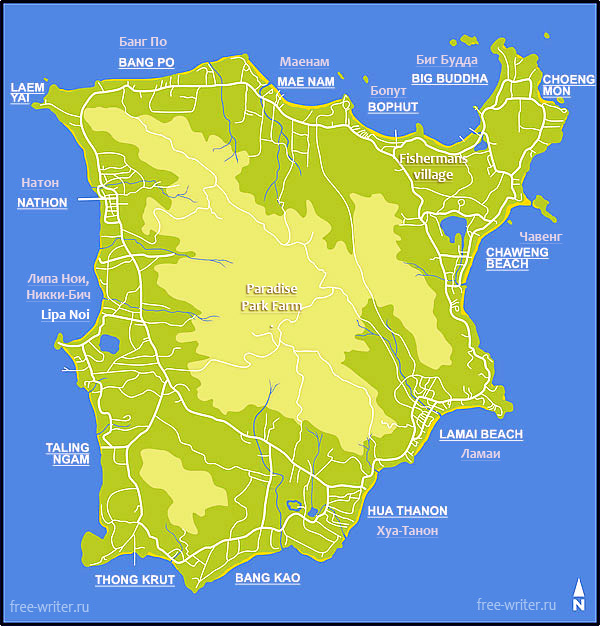 I hope the insight into districts of Koh Samui will help you choose the one suitable for you! Any reviews on hotels fast become irrelevant because some hotels close, others open… That’s why you’d better look for up-to-date information on hotel booking websites. I use RoomGuru that shows offers of different websites (such as Booking etc.) and sometimes search for apartments from owners on Airbnb. Russian are currently mostly in Maenam as Lamai is still popular among other European (like French). Also, Lamai is good for vegan/vegetarian people since more such cafes were opened here. And Night market (Walking street) is on Sundays here.